Have a question for Hardys Hotel Singaraja? "The room was clean enough." "The hotel is beside beach"
Built in 2014, Pop Hotel Hardys Singaraja Square is a distinct addition to Bali and a smart choice for travelers. The hotel lies 91.3 km from the city center and provides accessibility to important town facilities. With its convenient location, the hotel offers easy access to the city's must-see destinations. Take advantage of a wealth of unrivaled services and amenities at this Bali hotel. The hotel offers access to a vast array of services, including free Wi-Fi in all rooms, 24-hour front desk, luggage storage, Wi-Fi in public areas, car park. Pop Hotel Hardys Singaraja Square is home to 149 bedrooms. All are tastefully furnished and many even provide such comforts as television LCD/plasma screen, internet access – wireless (complimentary), non smoking rooms, air conditioning, television. The hotel's recreational facilities, which include private beach, outdoor pool are designed for escape and relaxation. 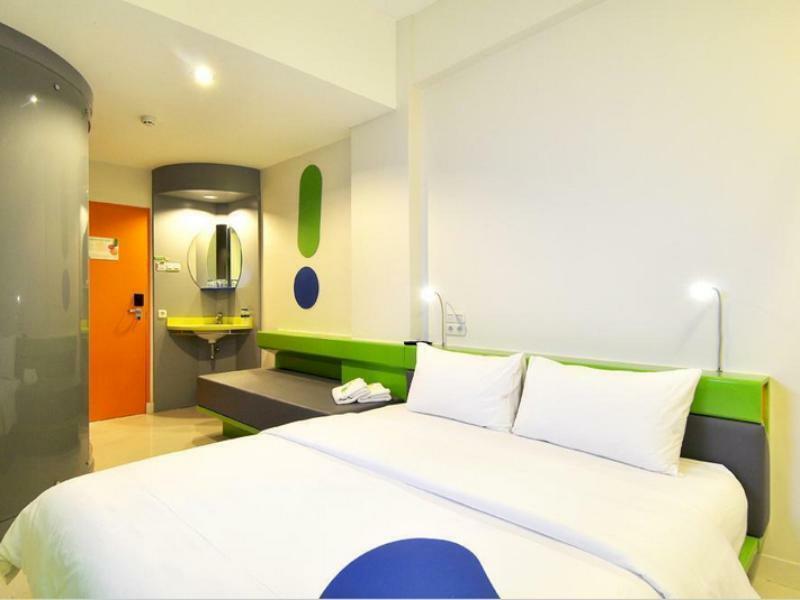 Whatever your reason for visiting Bali, the Pop Hotel Hardys Singaraja Square is the perfect venue for an exhilarating and exciting break away. "Good choice for one night stay." Had a great stay. Decent hotel for the price. Staff were very friendly. Located close to the central market, museums, temples and restaurants on pier so that you can walk to them all. Breakfast was basic but was tasty. Although the room was clean, there are stains on the sheets etc. it was obvious that they had been washed. The capsule bathroom is definitely an experience for a westerner. The pool looked lovely. It was a shame it was closed for maintenance for our stay. Would we stay here again? Prob not. But only as we have now experienced Singaraja. But would recommend a one night stay if you are in the area. Btw, dolphin tours from here are much cheaper than in Lovina. The hotel location is just perfect, in the center of Singaraja, 20 minutes drive to Lovina & 30 minutes to Krisna Funtastic Land. Room is clean & tidy, across the hotel there's many food court & just 1 minute walk you will find Traditional Market Pasar Kampung Tinggi that you will find many choice of food with local price. Very strategic location. The room was clean enough. I asked to replaced a pillowcase & blanket because it was dirty & smelly, and they replace it with clean ones quickly. When check in process, the staff receptionist immediately provides a breakfast menu to choose & gives the coupon according to the order. I chose the fried rice menu. The next morning when i was going for breakfast, they said the fried rice had run out, had been taken by other guest. Location in front of beach.Special location.Staff is very kind and helpful.Facilities is ok.Swimming pool is special.Parkir is ok.Breakfast is simple but delicious.Recommended when you going to Singaraja lovina beach.Thanks POP Hotel. The hotel is ok, room is standard with capsule bathroom, swimming pool is nice. 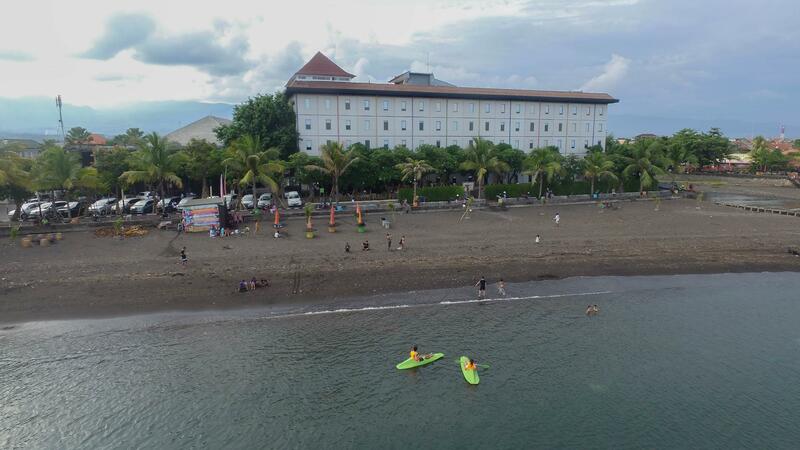 Lovina beach is just right behind this hotel. If you want to see the dolphin attraction, just reserve at the lobby. They started to sail around 5 a.m.
You cannot complain at this price point. The brekky was basic but fulfilling and endless coffee. I think the few westerners stopping in there were going for the dolphin tour, however if you have to stop over in Singaraja for whatever reason, you cant go past this place. Btw, they have a great driver setvice at a reasonable cost which really hepled us out. Oh, and get an ocean view room, the view is worth the cost of the room! Pop Hotel is a fairly new hotel on the beach in Singaraja. The hotel was clean and basic but quite satisfactory for the price. However not a lot to do around the hotel but there are 4 excellent restaurants over the sea nearby. If looking for cheap accommodation in the area, this is it. Breakfast is called "Morning Bites" and was very basic, but filling. If staying for more than 1 or 2 nights, you will want to go look else where for breakfast. Comfortable, nice staff. Value for money. there is only one things not good enough is not suitable when swim at night as there is no security guards around there and many outsider easy to climb over the wall to disturb guests. This can make gueats inconvenient and no privacy for guests. Had a very nice one night stay here, good location, nice clean, albeit basic, room but very quite air con and good blinds to cover the window. However, it is very near a mosque and we did not appreciate being awoken at 4Am with calls to prayers blasted in our room. An OK hotel, we had a sea view room, which was nice but a lot of the things in our room were broken or falling apart. We had to have the maintenance guy to come and fix things like leaking toilet, which they did pretty quickly. The location is by the beach, but area around it is very run down and dirty so not really great for a beach holiday. The bed was huge and comfortable, it was clean and the room was big. Pool was decent as well. Breakfast was OK. Staff were nice but very slow, although it wasn't an issue. Most importantly, it survived the earthquake that hit mostly Lombok and Bali yesterday! Good location right on the beach, room smelled funny from the bathroom and the air con didn’t work properly so the room was like an oven. if you've stayed at a pop hotel before, this hotel is no different. The rooms are kinda small and everything is made out of plastic... the breakfasts are also asian style with no bread or cereal options, the coffee is weak :P . Having said that I enjoyed my experience here because they packaged the dolphins into my stay and they had it all organised for when I woke up. Saw many dolphins and came back for the breakfast after! 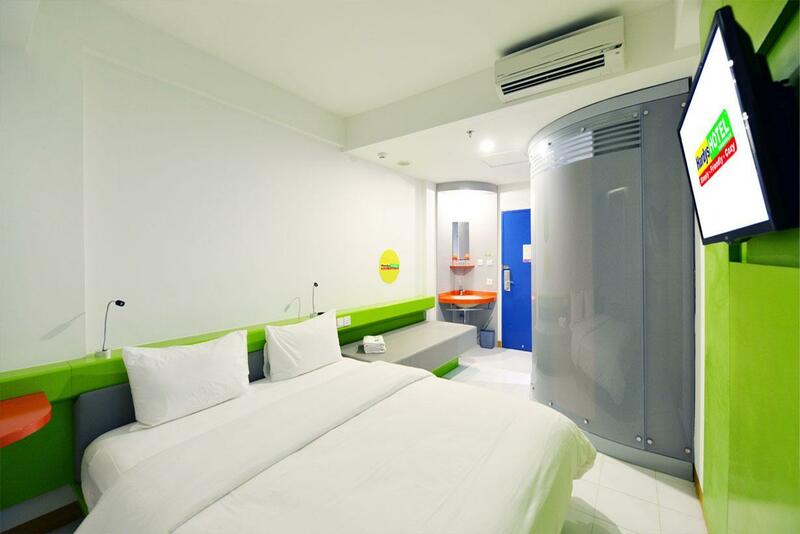 I thought it has a similar standard with other Pop Hotel in Jkt or Dps. But the Singaraja one is different. Bathroom had leakage, tap water was smelly, toilet was not clean, breakfast was too crowded coz the staffs have overload tasks, cups were wet and not enough number. I was quite suprised by their facilities, definitely didnt expected that and for really cheap price. If i go back to north Bali again, i will definitely visit again! Clean and the staff was very polite and helpful. Restaurant super! Nothing to tell, that’s good. We got a room that the AC wasn't cool and the staff directly transfer to other room. If you're looking for a quiet room to stay, it's not the best place to stay. Because the rooms hasn't soundproof enough.